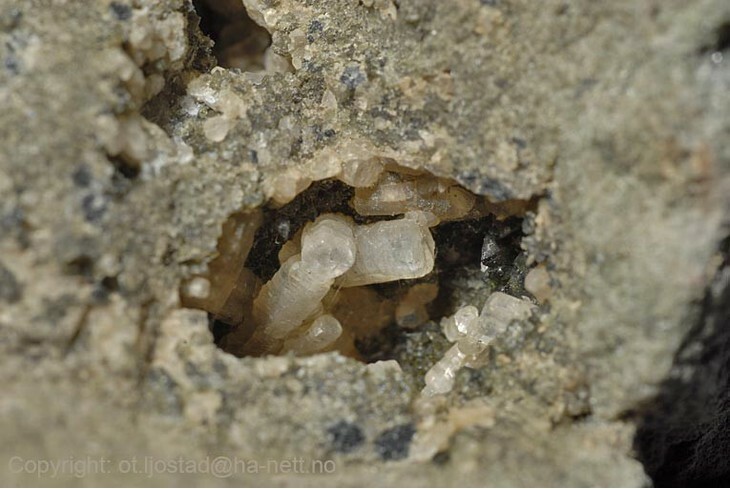 Panunzite: Mineral information, data and localities. 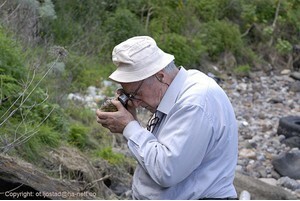 Named by Enrico Franco and Maurizio De Gennaro in 1988 in honor of Achille Panunzi, professor of chemistry, University of Naples. Dr. Panunzi discovered the blocks ejected from Mt. Somma that contained the mineral. 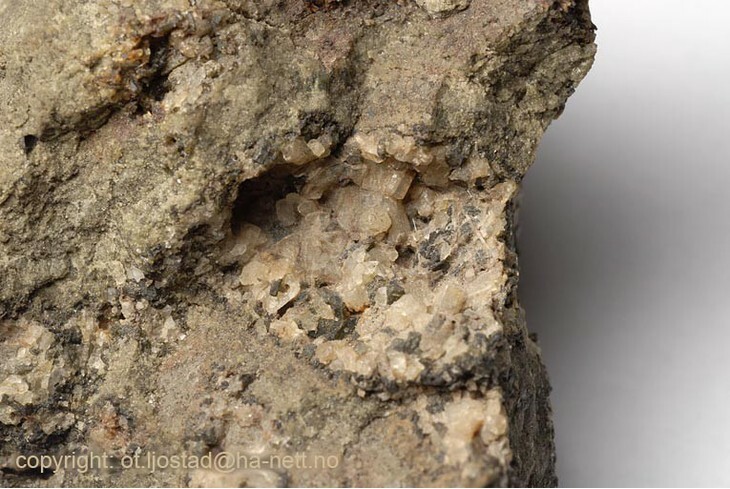 This page provides mineralogical data about Panunzite. hexagonal prisms up to 4 mm in length. in cavities in pyroxene-rich ejecta blocks in recent volcanoclastic deposits. Diopside 2 photos of Panunzite associated with Diopside on mindat.org. 16.4.6 Montesommaite (K,Na)9Al9Si23O64 · 10H2O Orth. Sahama, Th.G., Smith, J.V. (1957) Tri-kalsilite, a new mineral. American Mineralogist: 42: 286. Merlino, S., Franco, E., Mattia, C.A., Pasero, M., De Gennaro, M. (1985) The crystal structure of panunzite (natural tetrakalsilite). Neues Jahrbuch für Mineralogie, Monatshefte: 7: 322-328. Franco, E., De Gennaro, M. (1988) Panunzite, a new mineral from Mt. Somma-Vesuvio, Italy. 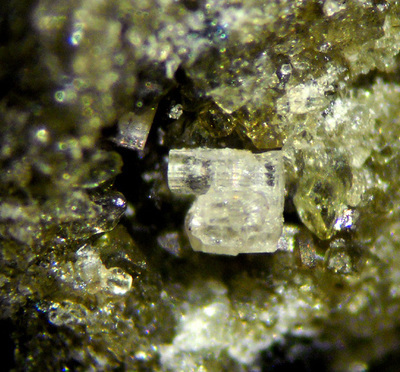 American Mineralogist: 73: 420-421.